Hope you enjoyed your Easter long weekend and will enjoy (or are enjoying?) your mid-session break. As I said last week, and will expand upon now, SpockSoc has not one but two screenings this week. 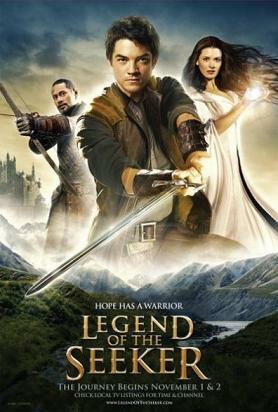 This Friday, we’ll be showing the last eight episodes of the first season of Legend of the Seeker, a series based on the Sword of Truth books by Terry Goodkind. It’s a special extended screening, since we have eight episodes to get through – we’ll be starting at 4pm in Rex Vowels. That’s four o’clock Friday, Rex Vowels theatre. Even with the extra hour, it’s gonna be a bit squishy fitting things in, so we’ll be starting not long after 4 – apologies for those who can’t make it then, but you’ll only miss one episode if you come at 5. Pizza run at 7-ish like normal. I will attempt a recap of the first two-thirds of the season, if new members want to come along.